So why do an advanced PPL course? Your Private Pilot's Licence training has taught you well. You have proved yourself to be a safe and competent pilot, operating the aircraft safely within its design limits. In fact, your training (by design) has kept you well within the flight envelope of the aircraft you fly. But even training aircraft are capable of more than you probably realise. And so are you! For the seasoned pilot, it is also easy to fall into the world of complacency. For both these reasons, we've designed a unique "Advanced PPL Course". This course is for pilots of any ability - from those who've just passed their skills test to the experienced who want something "more". Designed by us, and run by us, it's been a favourite with pilots for several years now, and has recently undergone even further refinements. You'll learn new life-saving skills, alternative procedures (to those that you know already), and refine your airmanship and aircraft handling to new levels, giving you further self-confidence in your own abilities. To complete the whole syllabus takes around 6 hours (it really depends on you). However, you don’t need to do everything. If there are only a few items that particularly take your fancy, then just do those! On completion of the whole course though, you’ll get a certificate as a reminder of an achievement you will be proud of. There is no time limit to the course. If you want to split it up over a period of time that’s fine. In fact, past “advanced students” come back regularly and brush up on some of the items as part of their “dual instructional flight” requirement to keep their Class Rating valid. 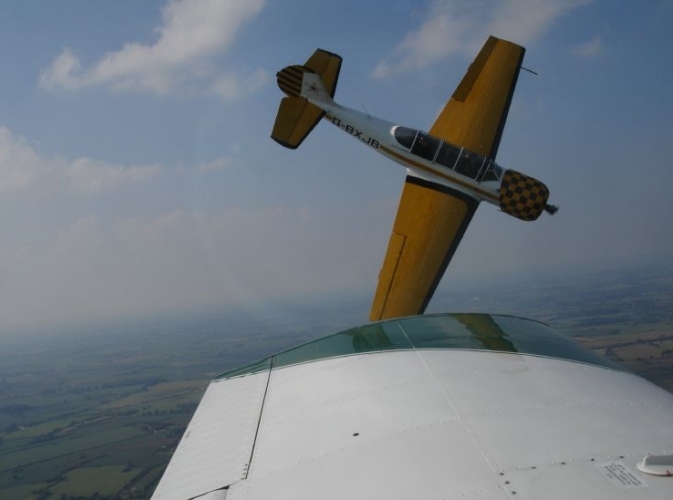 We have produced our own very special syllabus that will explore the full flight envelope of the aicraft, plus let you gain extra confidence in you flying ability through the acquisition of new skills. If you want to kill two birds with one stone, we can also incorporate a checkout onto a different type of aircraft as part of the course too! That even includes tailwheel conversions. We can arrange for use of a Piper Cub if necessary for the course at various locations.